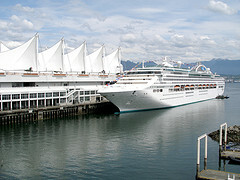 Any time a dangerous situation erupts or a catastrophe occurs onboard a cruise ship it makes headline news. However, when a crime happens aboard a cruise line, we do not always hear about it despite the fact that cruise lines are obligated to report all allegations of serious crimes to the FBI. Major cruise lines even post criminal data online for the general public to view. There are some limitations, though. Cruise lines are only required to report theft of items totaling more than $10,000, and assault causing serious bodily injury. While more than 22 million people travel via cruise ship every year, crime figures are actually quite low. Trips aboard cruise ships are not inherently dangerous. Due to the fact that these ships sail internationally, the laws can be somewhat cloudy. Criminal investigations are usually handled by the FBI, but this also depends on where the ship is located at the time as well as where it is registered. The main thing to be concerned with is how crimes are reported, investigated and tracked. Should you find yourself the victim of a crime, make sure to report it right away to onboard security and demand that the crime scene be secured until law enforcement can gain access to the ship. The other thing you want to make sure to do is write down the names of everyone involved in the incident – this includes witnesses. If a criminal act occurs while you are at a foreign port, contact the closest embassy or consulate. Keep your eyes and ears open when taking a cruise. Trust your gut – if something appears odd or suspicious to you, it probably is. Should something appear out of the norm to you, take a trip to the Purser’s Office and let the staff know. They will appreciate the heads up, and you might just keep a criminal act from occurring. Taking a cruise is a fabulous experience, so don’t think they are all bad. As long as you are prepared and watch out for your own safety, it will be smooth sailing all the way. If you or a loved one was harmed while aboard a cruise ship, you do not have to go through this experience alone. A Tampa Bay Cruise Ship Accident Lawyer at Whittel & Melton can help you successfully navigate the legal system so that you can recover all rightful damages and move forward with your life. To find out more about how we may be able to assist you, please call us today at 866-605-5529 or contact us online.